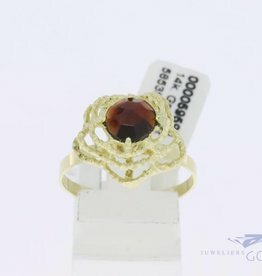 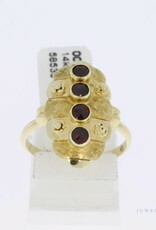 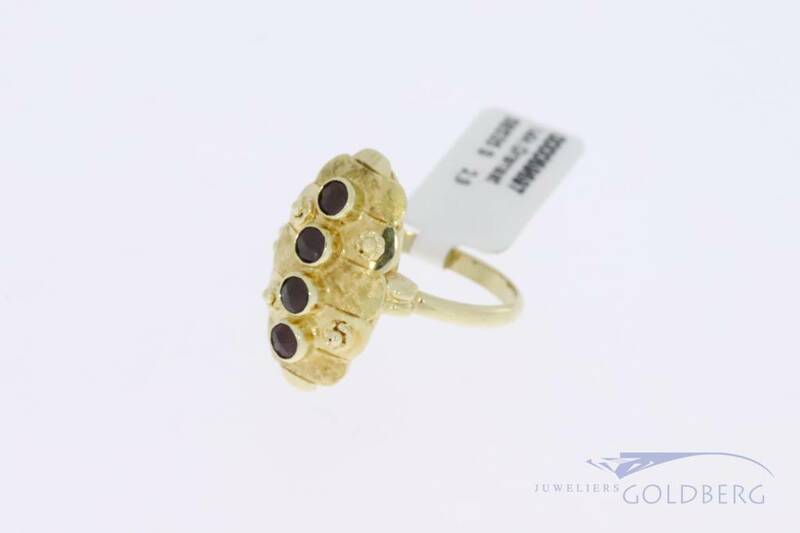 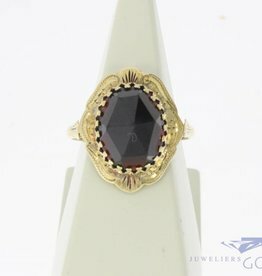 Beautiful 14k gold vintage ring with 4 garnets in a row. 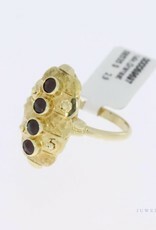 A very cute design! 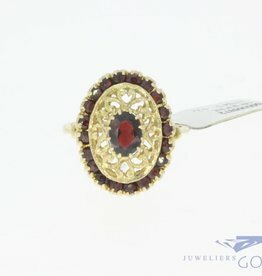 The ornament on the top of the ring is approx. 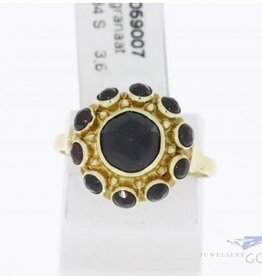 20mm long and 11.5mm wide. 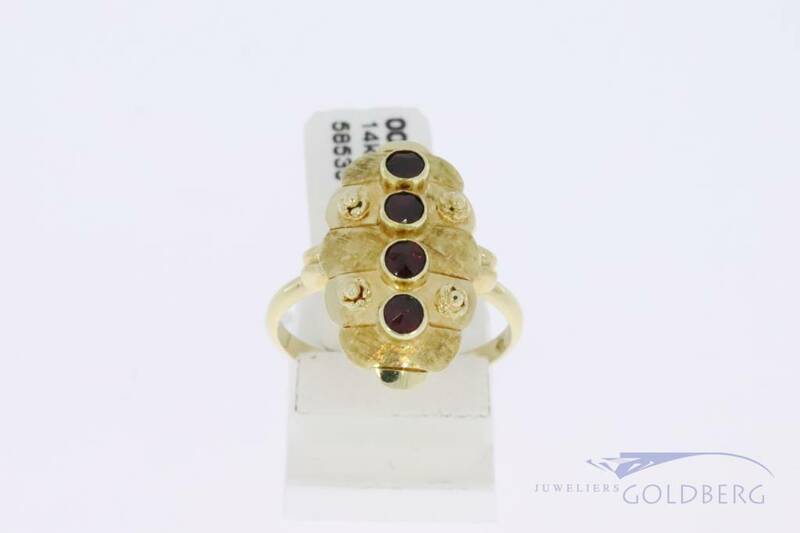 The garnets have a diameter of about 3mm and every garnet is on a dividing line between matted and shiny gold. 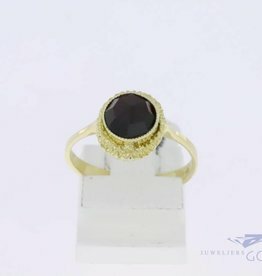 The ring size is 17 (53), but the ring can be custom sized per special request.